As most of the recreational marine industry struggles through perhaps its worst economic decline ever, one important segment has seemed practically immune - the marina business. Through much of 2008, while sales of new and used boats, accessories and services plummeted and manufacturers, dealers and wholesalers cut costs and prices simply to survive, marina operators operated largely as they always had, although escalating fuel prices that summer had some impact. They continued selling slips at top dollar to boaters who in many regions had spent months - even years - on waiting lists. That all changed, as did the world, in September 2008 when the collapse of the Lehman Brothers investment bank set off a global financial meltdown that had some economists, at the time, talking about another Great Depression. For the first time in memory, marina operators - especially in coastal markets - found themselves with empty slips. Occupancy rates, which for many had tracked at or near 100 percent for years, suddenly fell into the low 90-percent range, even lower in some markets. The historical pattern of annual slip rental increases came to a sudden end, and some marina operators were even discounting slips. Like their brethren in other boat business segments, marina operators were forced to reduce costs, lay off employees and, in some cases, scrap plans for expansions and improvements as financing became all but impossible to secure. Several even filed for bankruptcy. For a time, things looked pretty bleak. Dennis Kissman, president and CEO of Marina Management Services Inc. in Boca Raton, Fla., remembers being optimistic heading into the &apos;08 fall season. His company manages two marina properties in the Caribbean (one in St. Thomas, one in Puerto Rico), where business typically picks up in autumn. Things were looking good because the company already had a long reservations list. Then came the Lehman Brothers collapse and the economic turmoil that followed. "I would say that 90 percent of those reservations were cancelled," says Kissman. "Boats just didn&apos;t show up in the Caribbean." Brian Baker, Norfolk, Va.-based regional manager for Vinings Marine Group of Atlanta, says many owners of smaller boats had to pull out of the four marinas he manages and put their boats on trailers. "The guy who sells trailers here in town had a pretty good year," Baker jokes. "People weighed the cost of a trailer ... and decided to put them in their back yards for a little while." The story was the same in markets across the country through the early part of this year. But, surprisingly, things started looking up by summer. Boaters started coming back to marinas as the economy seemed to improve, albeit ever so slightly. Now, most marina operators say the worst is behind them. While few are raising slip fees, most say they&apos;ve managed to avoid cost-cutting from year-ago levels by promoting amenities and offering more special events and promotions. Looking back at the last year, Jim Frye, president and chairman of the Association of Marina Industries, says business has improved at most of the nation&apos;s marinas. "In most places business is good - just not as great as it was," he says, conceding that operators in a few locations are "suffering a bit." Why has the marina business fared better than the rest of the industry? Frye, who also is vice president of Westrec Properties, the nation&apos;s largest marina owner/operator, credits the strong position many were in heading into last fall&apos;s crisis. "Marinas in general had high occupancies and were commanding strong rates going into the downturn," he says. "That gave them a higher platform to start from, so maybe they won&apos;t have as far to fall as other segments of the industry." While a few marina operators have discounted slip rates, Frye hopes that doesn&apos;t become a trend. "It seems the natural thing to do - drop prices in response to competition or lower demand - but folks forget how hard they worked to get prices to that level," he says. "They lose track of reality, that even a 10 percent reduction in today&apos;s price means that they have to raise rates more than 10 percent when things rebound if they want to get back on par." For that reason, some of the more savvy operators have turned to incentives, special events and promotions, such as the creation of "club cards," which offer discounts not only on services at the marina or sister facilities but at restaurants and other local businesses. 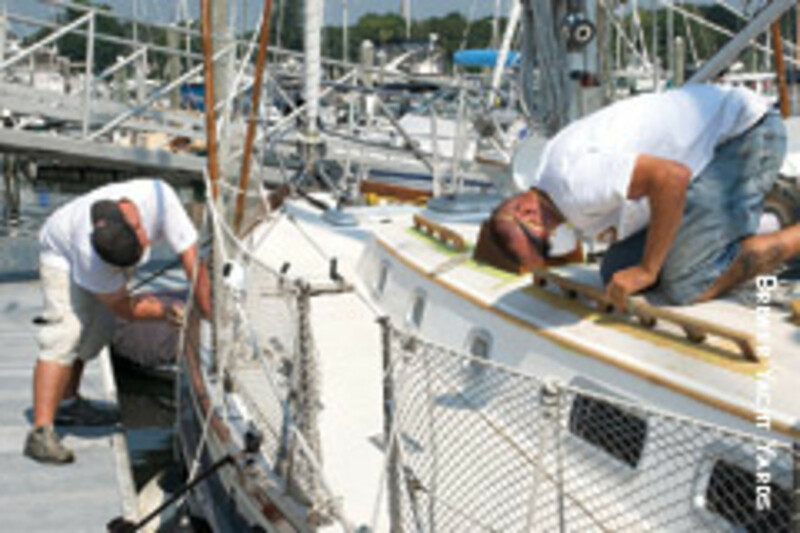 In the Northeast, Brewer Yacht Yards, which operates 28 marinas from New York to Maine, has launched a "cruising club card" program. Participants get discounts on transient dockage and services at Brewer facilities, according to Jack Brewer, founder and president. For example, a transient boater who visits a facility and pays for a night&apos;s stay receives the card. "That would entitle [him /her] to get 25 percent off at any of our other marinas on subsequent business," he says. Brewer also is giving transient customers discounts on contract storage. All they have to do is save receipts from their transient visits. "The way it works is they could get 50 percent off on their storage, up to half the level of their receipts," he says. "So if they had $500 in transient receipts, we&apos;d give them $250 off their storage." Operators say such offerings give marina customers what they increasingly are looking for: amenities and special events. While they&apos;ll haggle for the best price, more and more boaters are willing to pay more for facilities offering pools, restaurants, bars and socializing opportunities. "Boaters are looking for a good value proposition," says Mike Shanley, vice president of operations at Watermark Property Group LLC, which manages seven marinas. "Amenities become increasingly important as the social component of boating increases. Given the current climate of lower boat usage, more boaters are &apos;hanging out&apos; at the marina, increasing social interaction and placing increased importance on amenities." That&apos;s not the case with all boaters, of course. Some simply want a marina that offers great access and clean facilities at a good price. In fact, Mark Sandoval, manager of marinas and beaches for the city of Long Beach, Calif., says he annually surveys 500 customers at each of the three city-owned marinas he manages, and they consistently say amenities aren&apos;t an issue for them. "We don&apos;t have pools and barbecues," he says. "It&apos;s not a country club atmosphere." What does matter to them, he says, are secure facilities, clean restrooms and perhaps a chandlery. "They&apos;re not at all interested in those country club amenities." Another important consideration for marina customers is a well-kept facility. For that reason, many operators say they are holding fast to ongoing maintenance programs. "We&apos;ll do a lot of the projects we always do going into the winter," says Baker, of Vinings Marine Group. "We&apos;ll do the cleaning and painting and keep it on the low key. We won&apos;t put a lot of money into capital improvements, but we did a lot of that earlier this year." While marina operators generally fund maintenance out of cash flow, they do turn to lenders to fund major capital improvements, expansions or the purchases of new marinas. And for some, tighter credit requirements are forcing cutbacks in those areas. "It has always been challenging to help lenders understand the marina business," says AMI&apos;s Frye. "Many don&apos;t understand the industry and are more reluctant to make loans to marina operators than some other businesses that they may know more about." Frye worries that the difficulty in getting credit might hurt the marina sector (and boating overall) because some facilities will have to cut back on regular improvements. 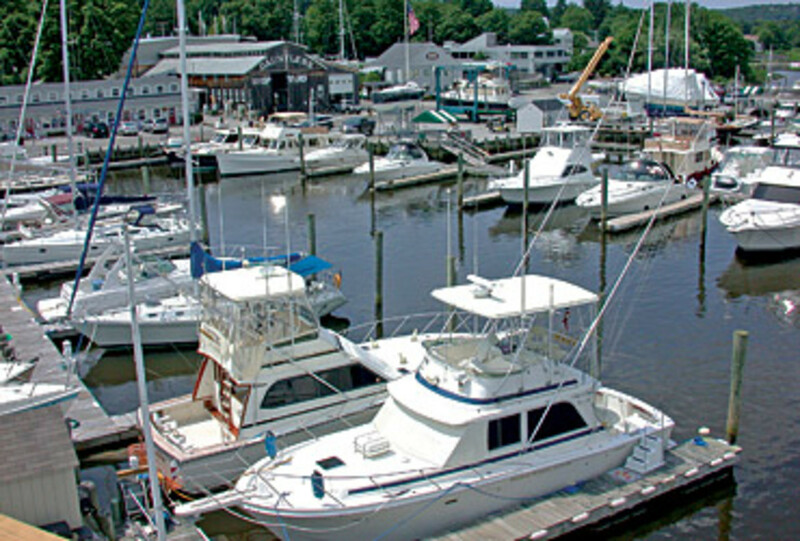 "The challenging physical environment [in which] most marinas exist suggests that the marina industry overall is in need of capital for renovation and renewal of existing facilities," says Frye. "A shortage of that necessary capital will have lasting impacts on the quality of boating facilities and boating in general." Shanley, of Watermark Properties, agrees. "Lenders have virtually stopped lending in this environment," he says. "There are a few dollars available for acquisitions that have strong cash flow. Construction loans are almost non-existent." Nevertheless, Shanley says, Watermark is eyeing expansion opportunities because there are marinas on the market at hugely discounted prices. "We are actively looking for marinas with a minimum of 200 slips on the East Coast from Maine to Florida," he says. Even public facilities aren&apos;t immune to the credit squeeze. In Long Beach, Sandoval has plans to spend $95 million for a complete rebuild of the city&apos;s Alamitos Bay Marina, which has 1,996 slips. "I have secured $21 million from the state, but I&apos;m $74 million short, so I will have to borrow that somehow," he says. "The municipal bond market isn&apos;t pretty at all, so that is a challenge." Finding a bank to lend $70 million or more for marina improvements isn&apos;t an option, even if the city is behind it, Sandoval says. "The port, which is a huge cash cow, might weigh in, or I might piecemeal the project and try to bite it off in small chunks," he says. The need to find necessary financing for capital improvements is a concern. However, not being able to add slips at a pace that meets market demand may be more of a benefit than a curse for the marina industry. It was an escalating slip shortage through the late 1990s and much of this decade, after all, that left many marina operators better off than most of their marine industry peers. Economists now are betting the recession is over, and even the gloomiest prognosticators in this industry say things can&apos;t get any worse for boating. If true, some marina operators around the country could once again be dealing with long waiting lists for slips. Years hence, the local marina operator may not look back on the downturn of the last few years with the same fear and dread as that marine dealership across the street.